UNION — City council adopted an ordinance under emergency status Monday night to provide for a permanent increase of one percent in the city’s income tax rate. The existing income tax of one percent would become two percent if approved by voters. Council also passed a resolution to place the proposal on the May 7 ballot. If approved by voters the increase would take effect Jan. 1, 2020. Facing needed infrastructure repairs such as street resurfacing, a road levy first put in place in 1978 was placed on the ballot in 2016 seeking an additional one mill increase to the existing 3 mill levy that was rejected by voters. The existing levy only generates $250,000 a year, which was does not provide adequate funding to keep up with needed repairs, according to City Manager John Applegate. Applegate said if approved the city would begin a five year program of roughly $5 million to repair and resurface streets in the core part of the community starting with the oldest plat such as SpringView Acres in the Carol Lane and Lang Court area and moving up into the Hollycrest Lane and McCraw Drive area. He pointed out to council that a lot of communities, the latest one being Clayton last year, spent a lot of money to bring their streets up to condition by adjusting its income tax revenues. The tax is on earned income only. 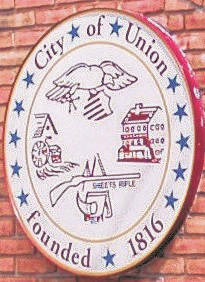 People working at P&G currently pay one percent to Union and 1.5 percent to the City of Dayton if they live in Dayton. Those that live in Englewood pay one percent to Union and three quarters of a percent to Englewood. The income tax does not affect pensions, Social Security or interest payment and other items excluded by the municipal income tax ordinance. It is only a tax on earned income. The only street resurfacing that has taken place in Union took place when the city received funding for Issue II projects for the water main replacement projects along Martindale Road.